Ian McCullough is neck-deep in his own trouble. A half-mortal descendant of Faeries, he’s been a Guardian for more than six hundred years, but he’s never encountered a woman like Sarah. Assigned to protect her, he finds the job tougher than he could have imagined. Oh, he can handle the stalker, and even the renegade Faeries trying to kidnap her. But falling in love means forsaking his role as Guardian — which is some-thing he could never do. But there is no denying the passion that exists between two souls fated to be together. Sometimes when you dig through your ancient purchases file you find a good read – I think I bought this book like 3 years ago not long after I got my kindle and I went crazy buying books. Then I promptly forgot about it until recently when I came across a recommendation for the first book in the series and I remembered that I had enjoyed the first book in the series, and had bought at least the next few to read. So I dug it out. Overall, I was pleasantly surprised with how much I enjoyed the read. Fae’s in general are a favorite paranormal creature of mine to show up in books and are often overlooked in the craze of vampires and werewolves that seems to dominate paranormal romance currently. Overall, cute read if you like paranormal romance and are looking for something new to try out. If you like the Fae storyline, you could also check out Karen Marie Moning’s Highlander series (Paranormal Romance) or Fever Series (Urban Fantasy) or the first book in Charlotte Featherstone’s Sins and Virtues series – Lust. 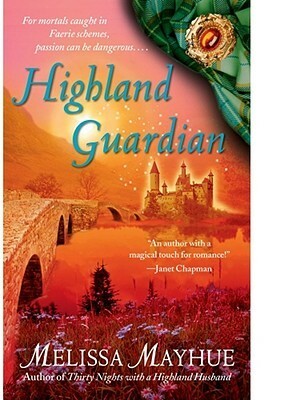 I’d give Highland Guardian 3.5 stars.